A medical doctor (also called a physician) is a person who practices medicine to treat illness and injuries. Medical doctors go to medical school to be trained. They usually hold a college degree in medicine. Medical doctors used to make house calls to treat patients at home. Now they usually see patients in their offices or in hospitals. 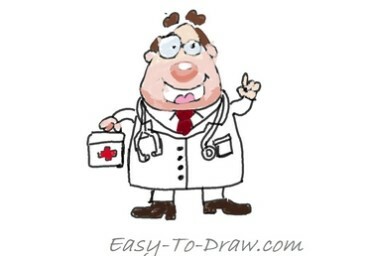 Medical doctors may also work for schools, companies, sports teams, or the military. Medical doctors are often assisted by nurses or other staff. Medical doctors treat patients by diagnosing them, or figuring out what is wrong. When medical doctors diagnose a patient, they begin by asking questions about the patient’s symptoms. Symptoms might include fever or pain. They may ask other questions about things like past illnesses or family members who have been sick. They will then examine the patient. That can include looking at different parts of the body and listening to the heart and lungs with a stethoscope. Sometimes they may need to collect blood, use an x-ray machine, or use other tools to look for things they cannot see when examining the patient. 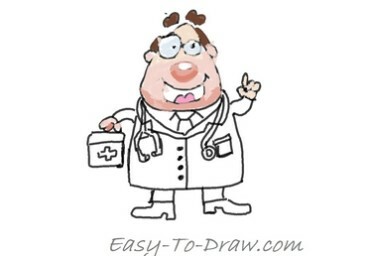 Usually, when they have gathered enough information, a doctor can make a diagnosis and then prescribe a treatment. Often they prescribe drugs. 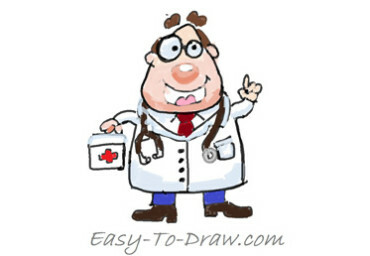 Here are the steps to draw Cartoon Doctor. Enjoy! 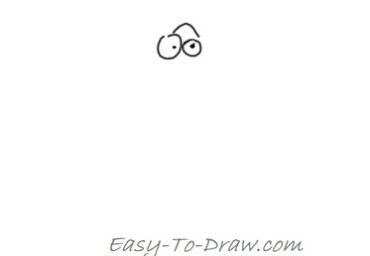 Step 1: Draw two circles with a dot in the middle as the doctor’s eyes. 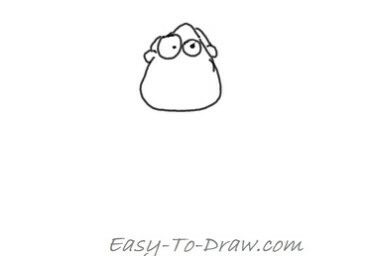 Step 2: Draw the doctor’s face with two ears and some hair. 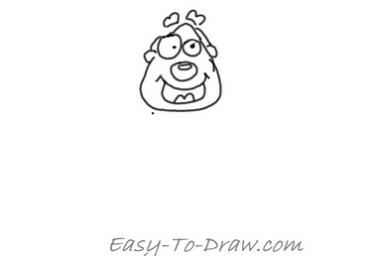 Step 3: Draw a nose and a smiling mouth for the doctor. 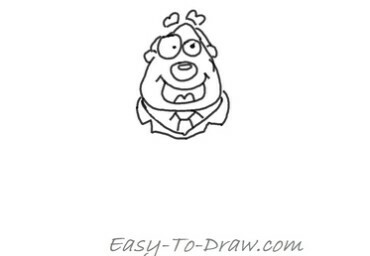 Step 4: Draw some hair on top of his head. 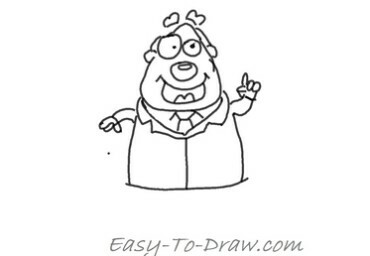 Step 5: Draw a tie within a collar for the doctor. Step 6: Draw the doctor’s hands and shirt. 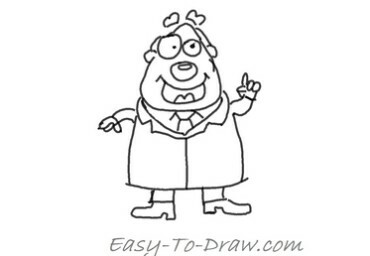 Step 7: Draw the legs and the feet under the shirt. Step 8: Draw a medical box in the doctor’s hand, and some buttons on the shirt. 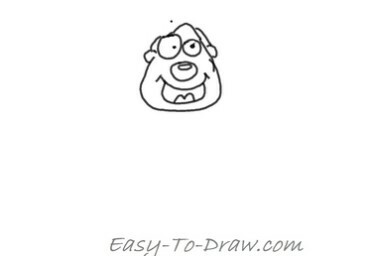 Step 9: Draw a stethoscope surrounding the doctor’s neck. Step 10: Color the hair brown and the eyes light blue. Step 11: Color the face and the hands meat color. Step 12: Color the tie dark red and the cross on the medical box in red. Step 13: Color the trousers blue, the shoes dark brown and the border of the shirt light blue. Step 14: Color the stethoscope brown. What will make poor Sheila well? That will make poor Tommy cry. Tommy, Tommy, don’t you cry. Waiting at the church to marry you. 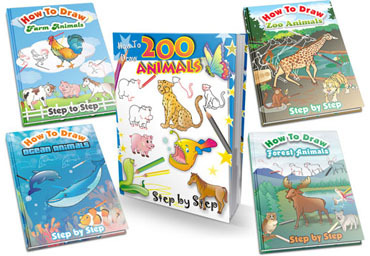 Doctor Video Drawing Tutorial for kids!